Most of the freight that is being transported over lands, uses the roads. The road transport mode could refer to moving any consignment from as small as a parcel or a few pallets to as large as full truck capacity loads. 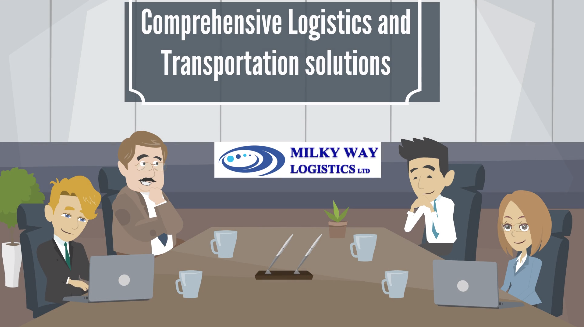 Milky Way Logistics, being very well connected to variety of haulier networks and having reliable partners strategically located worldwide, provides best and most competitive services for consignment that need to be moved over land. There are different situations, when a freight must move over lands which are including the land-locked locations, when the equipment is oversized or irregular shaped or size that couldn’t be fit in a container or it couldn’t move by airplane, for some short routes that sea or air are not the best options and many different situations. Milky Way Logistics benefiting from its strong network of partners and hauliers, offers a variety of services through road transport in the UK which includes express pallets services which is available with various types of vans from sprinter to luton. This service is very quick and for same day delivery of pallets within London, it is the most cost-effective service. At Milky Way Logistics, we also offer different sizes of up to Full Loads and regular loads at the best and most competitive rates. Even for the oversized pallets and same day deliveries and Europe transports, we always have availabilities and best rates. Our service could include any service by sprinter vans, luton vans, 7.5 tones, 18 tones and 26 tones of tail lift, curtain sided and hard sided. Our Road Transport service covers both personal effects and commercial goods of just any size and any value. If you need a quotation on a road transport service in the UK, please contact us at enquiries@mwll.co.uk providing details of the cargo and its collection and delivery addresses and contacts and we will get you best rates.